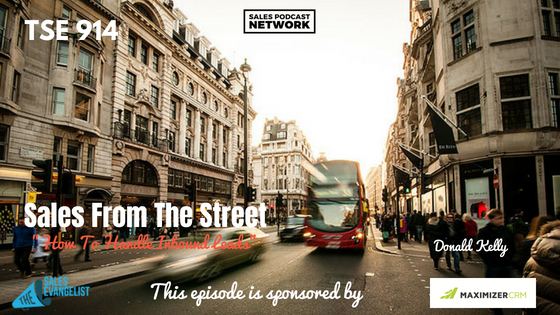 TSE 914: Sales From The Street:"How To Handle Inbound Leads"
We cannot develop quality inbound leads without a process that nurtures and prepares our customers. 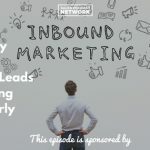 As a sales professional, it’s important to know how to handle inbound leads so that you’re working in tandem with your marketing team. On today’s episode of The Sales Evangelist, I’m putting myself in the hot seat to discuss how to handle inbound leads, especially in the case of smaller organizations. Just like you can’t rush to cook frozen chicken, you can’t rush to land an inbound lead. You have to invest the right amount of time and the right preparation for both to turn out the way you’re hoping. When leads come in, we sometimes expect to make things happen quickly. Like the story of trying to cook frozen chicken, we forget about the seasoning, the marinade, and the temperature. We forget about the amount of time that the chicken has to cook. When we’ve taken those things into consideration, that’s the same as a sales qualified lead. It’s defrosted, marinated, cooked, and ready to be eaten. Prior to that point, it’s a marketing qualified lead: it’s a prospect who perhaps downloaded something but isn’t necessarily ready to buy. In the context of our cookout, it’s chicken that isn’t defrosted or marinated yet. Marketing has identified a person who raised her hand to say she’s interested. Maybe she downloaded a white paper or signed up for a webinar. They’ve initiated the process and they have asked to speak to someone. Now it’s time for someone to take advantage of the lead. Too often, though, we jump too quickly. Instead of nurturing the lead, we jump down their throats in an attempt to close quickly. A great CRM is the core of a great combined sales effort. 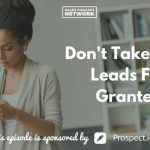 When you can enter information about the prospect and then track whether he opened the email, read the email, or reacted to the email, that’s the ideal situation. When a lead falls into your funnel, you have to reach out to that person within five minutes. You may recall our friend David, who we’ve been following since Monday. David was tasked by his boss to find financial software for the company, so he’s in the research part of the process. Let’s assume David enters the funnel by downloading a piece of content. When we email him a day later to ask if he’s interested in a demo, he indicates that he is. Now sales gets the marketing qualified lead. You must call him within five minutes. Otherwise, he’ll presume that you aren’t interested in taking care of me. Because I’m doing research, I might find someone else who is willing to help me when you wouldn’t. Remember that your prospect is busy. I know that you are, too, but you can at least acknowledge the person. Worst case, you must call him within 24 hours. A sales qualified lead is chicken that is defrosted, marinated, cooked, and ready to eat. Many companies make the mistake of not having a flow process. That simply means that from the time I get a new sales qualified lead to the time this person says, “Yes, I want to buy,” many companies have no plan. We might think we have a plan, but if we aren’t measuring it and tracking our efforts, how can we know what’s working and what isn’t? We must have predictability behind our efforts. The whole point of it is to let them know that you’re aware of their existence and that you’re here to help. Predictable processes enable us to understand how the buyers buy and what the buyer’s journey looks like. Your cadence can evolve over time, but you must have predictable efforts so you can test your processes. Each industry’s process will be totally different, and the buyer’s journey will be different, so you will tweak your process along the way. A process will allow you to determine that, when you reach out within the first 5 minutes, 95 percent of those people eventually buy. If your prospect isn’t ready to pull the trigger even after your flow process, then put him back into the nurturing process. Studies indicate that even bad leads often become clients in the long run because they were nurtured well. What seems like a bad lead could end up being a customer if marketing is able to continue nurturing. Don’t throw away bad leads if there’s a chance they can still develop. Send them information related to the product they were pursuing. You can hopefully, over time, help them develop a greater interest in your product. I share stuff like this because I want to help you find more ideal customers. To build stronger value. I want you to close more deals, but most importantly, I want you to go out each and every day and do big things.